In memory of past Society for Immunotherapy of Cancer (SITC) president and charter member, Dr. Richard V. Smalley, SITC is proud to present the Richard V. Smalley, MD, Memorial Award and Lectureship annually to a recognizable clinician/scientist and luminary in the field that has significantly contributed to the advancement of cancer immunotherapy research. Established in 2005, the SITC Smalley Award is the society’s most prestigious award and serves to honor those that have been pioneers in their work and made a notable impact worthy of high regard and recognition by their peers. 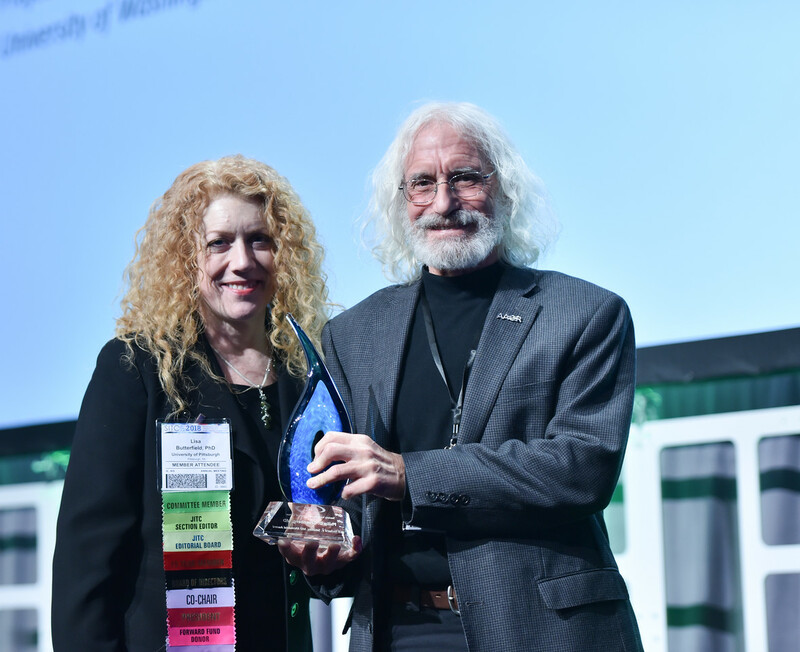 As a part of the award, the honoree serves as a primary keynote presenter at the Annual Meeting, delivering a lecture on his/her research and the award is accompanied by an honorarium of $5,000. Dr. Philip Greenberg accepts the 2018 SITC Smalley Memorial Award at the 33rd Annual Meeting.